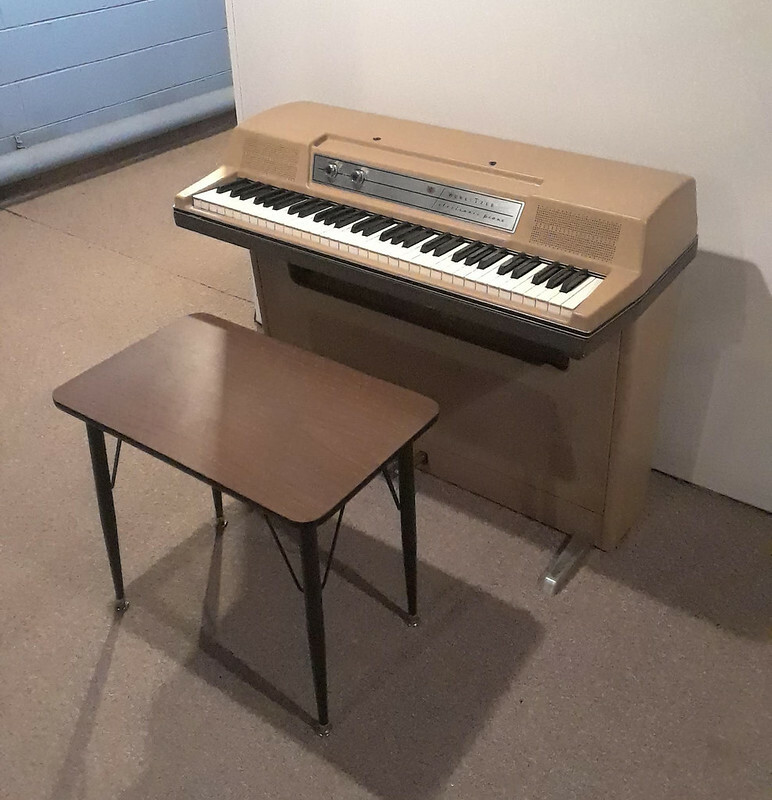 The ad said it was 21.25" tall which is about 1" taller than the bench for my acoustic piano. 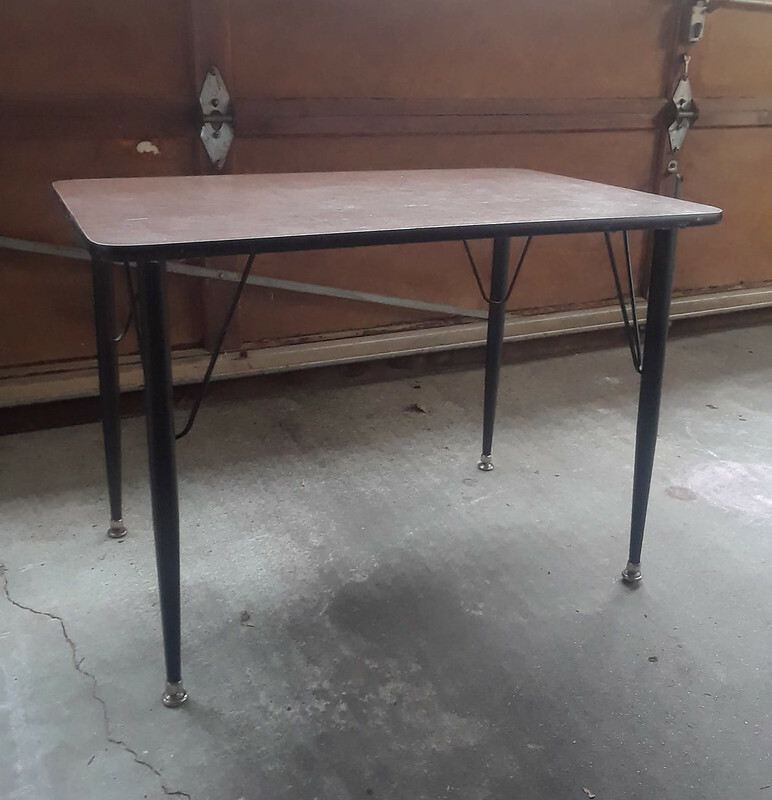 I was going to get it just to use the school/Wurli style legs but realized it might be cool to leave it as is but cut it down to bench size instead. It worked out great. I cut the seat to be 15" x 24" which seems to be a pretty comfortable size. I also rounded the edges and painted them black. 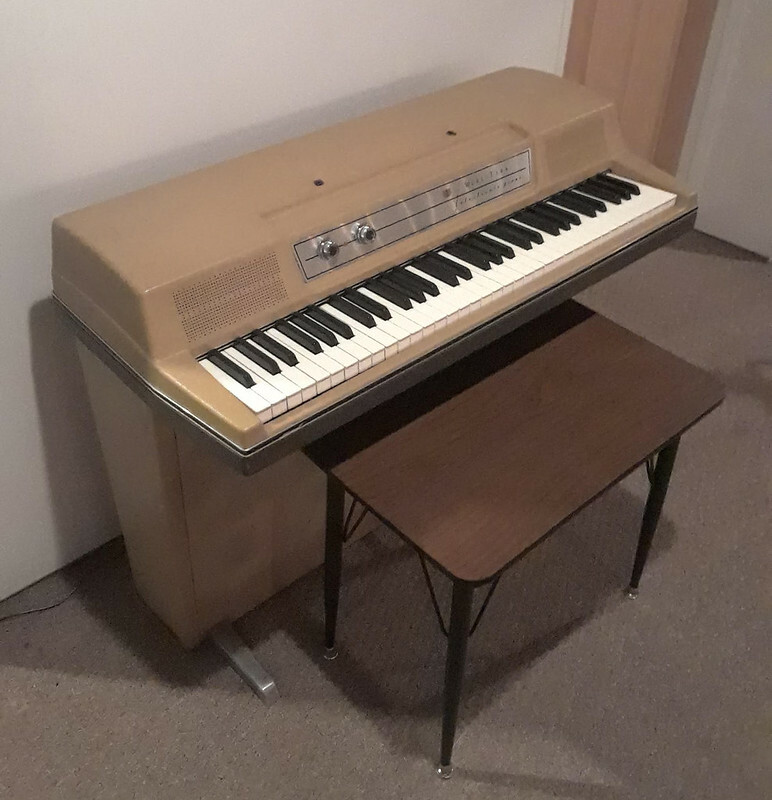 I think it gives off a great "student" vibe that fits the piano. Great bench! Hey, by any chance are the legs stamped 'DECAR PLASTIC CORPORATION'? Unfortunately no, there aren't any markings on the legs. However, the leg plates look really similar. It would be a very cool connection. Looks awesome, but it would collapse if I sat on it! I like it because it looks very similar to the primitive "matching" bench that came with my 200. ...and the legs do indeed remind me of kindergarten.